Home > Blog > Tis the season to be jolly! We all know them—Jingle Bells, Deck the Halls, and Santa Claus is Comin’ to Town—however, there’s probably a decent amount about caroling that is unfamiliar, so, because today is National Caroling Day, I compiled a short list of things that you likely don’t know about carols. 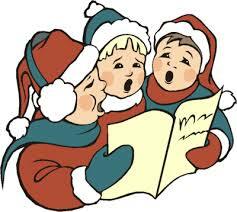 Caroling is a tradition that goes back so far that the word actually changes meanings! The Word ‘carole’ in Old French referred to dancing. That’s right—the word carol doesn’t even mean what it used to. In fact, ‘carols’ used to be dances as well as songs. The word originates from Old French and refers to a dance that’s accompanied by a song. But by the end of the 14th Century, the word was no longer used to suggest any dancing. Door-to-door caroling was a big party in the 1600s. It’s no joke! With mistletoe hanging above front doors, there was typically lots of kissing involved. There was also traditionally a lot of drinking from communal bowls filled with spiced cider or ale. They called it ‘drinking from the Wassail Bowl’ after an Old English toast: ‘Wæs hæl’, which means ‘your health’. This explains the title of ‘The Wassail Song’. Not all Christmas carols were meant for Christmas. You wouldn’t think it was possible, but it’s true, some Christmas carols weren’t even about Christmas originally. ‘Deck the Halls’ was actually written about New Year’s Eve—which makes sense considering the lyric ‘Hail the new year lads and lasses.’ But if you think THAT’s weird—‘Jingle Bells’ was actually a Thanksgiving song!—originally titled ‘One Horse Open Sleigh’. In any case, have fun with these holiday favorites from various artists and sing along to put yourself into the Christmas spirit. As always, thanks for reading.